Looking for something different while you're in Myrtle Beach? Then head over to the House of Blues Myrtle Beach for live concerts, special events and delta-inspired cuisine. The building at the House of Blues Myrtle Beach is designed to look like an old southern farmhouse with a tobacco warehouse attached, very different than most of the beach themed attractions found in the area. Located in Barefoot Landing in North Myrtle Beach the House of Blues is home to a restaurant and music hall. The restaurant serves dinner Tuesday thru Saturday (4 pm until 9 pm). Unique menu items include Pan Seared Voodoo Shrimp, Cast Iron Clucker Sandwich, "Juicy Lucy" Angus Burger, Steamin' Tot Mess and Loretta's Meatloaf. If soul food is not your top choice, the menu offers plenty of other choices. A Gospel Brunch is held every Sunday with continuous seating from 9 am until 2 pm. The brunch includes gospel performances and a scrumptious buffet featuring carving stations and Southern specialties including our chicken and waffles and other delicious choices. The brunch is free for children 3 and under, $16.50 for children ages 4-10, and $33 for adults. Reservations recommended. The music hall is made from the tin of a former tobacco barn in Jackson, Mississippi. Both local and national acts perform at the House of Blues each year. Performers for 2017 include Cole Swindell, Hunter Hayes, The Marshall Tucker Band, Big Sean, Snoop Dogg, Biz Markie, George Clinton & Parliament Funkadelic, 311, Chevelle, Seether, Jackyl and Thunder from Down Under. Most shows offer general admission for the lower area and VIP seating for the upper section. House of Blues also plays host to the Murder Mystery Dinner Theatre, an interactive comedy of who did it. This event is recommended for those ages 13 and up. The Murder Mystery Dinner Theatre takes place throughout the year at 7 pm sharp (arrive by 6:45 pm at the latest). Contact the House of Blues for dates and times. Ticket include dinner and the show. Seating is done family style. 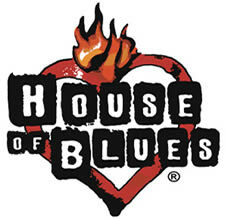 Advanced tickets, recommend for many shows, can be purchased through the House of Blues website. There is also an onsite box office where you can purchase tickets in advance and the day of the event if it is not sold out. 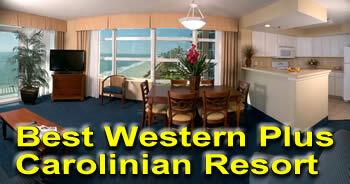 For accommodations, check out these oceanfront hotels and resorts in Myrtle Beach.